​Do you have a wild imagination? Are you a kid who makes up adventures without ever leaving your house? Learn how to create amazing worlds, believable characters, surprising plots and solve the world's most intriguing mysteries. We'll work on short stories, news articles, and more. This camp will make writing fun and all kids are welcome, even if writing isn't your best subject. Supplies will be provided. Please bring water to drink and a bag lunch. Award winning artist, Beth Warmath will lead the class in hand building super funky art using cardboard and mix media. We will work individually and collaboratively on projects using different textures of cardboard. Students will use their imagination to build anything they can dream up. We will work on daily projects and a gallery project. All materials will be provided. 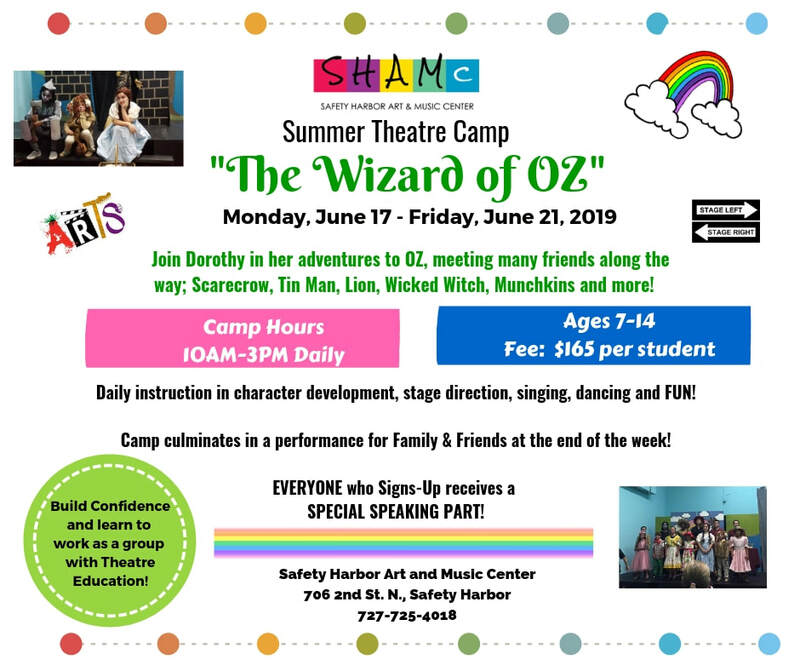 Munchkins and Such ~ a special mini theatre camp for ages 4, 5 and 6 year olds. 9am to 9:45am (Monday - Wednesday - Friday) during Week 3. The munchkins will perform with the older kids on the last day. Performance time to be determined. 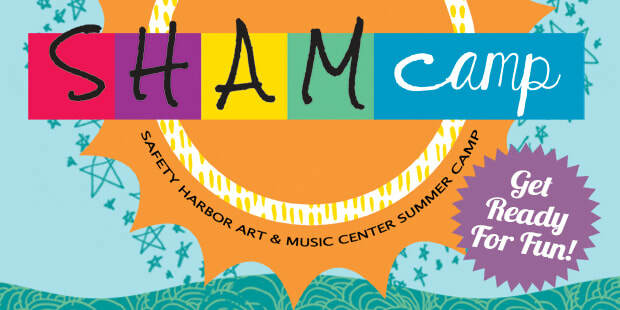 This fun filled week will offer various artists working throughout the week with the kids on many different art forms! Prepare to be surprised !!! Pottery, Mosaic, Mixed Media, Painting and more! In case of emergency, you can call Heather Richardson, Camp Director. Her contact information is 727-424-2576. What if a camp is full? Can I still register? If a camp is full, we will begin a waiting list on a first-come-first-serve basis. If a camper registered for the full camp cancels their registration, we will contact the waiting list one at a time. Pick up begins at 3 pm and ends at 3:15 pm. Can I register my child for just a few days of a camp? Unfortunately, this is not an option at this time. We would suggest registering your child for the full camp and letting us know of which day(s) your child will not be attending. What will I need to provide for my child during camp? Parents are in charge of providing lunches and water. We ask that all campers bring a refillable bottle for water. SHAMcamps are peanut-free. For the safety of other children, please do not pack peanut products. What forms do I need to complete for camp? Where can I park for drop off or pick up? SHAMc 706 2nd Street North Safety Harbor. There is parking available on the street. Parents are required to come to the art center to sign their children in and out daily. What if I am late for drop off or pick up? We will be starting each day promptly at 10 am- if you are running late, please inform the Camp Director ASAP! Pick up ends at 3:15 pm. Please let us know if you are running late. If you would like to be a sponsor of SHAMcamp, please contact SHAMc at 727-304-LOVE or 727-725-4018 to discuss sponsorship opportunities.